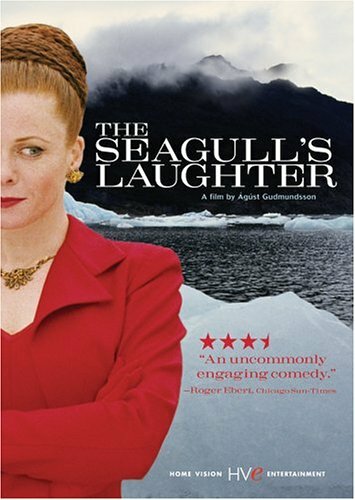 The Seagull's Laughter - BUY THIS DVD! It is 1953, and Freya, who had gone to America as an officer�s bride, has returned home to begin a new life. She moves into a small house of distant relatives in a quiet fishing village within Iceland. But unlike the drab, plump girl who went abroad, Freya, now in her twenties, is a stunningly beautiful woman. With her long chestnut brown hair, slender figure, and chic American fashions, she is somewhat of a mystery to the women of the household, including the inquisitive eleven-year-old Agga, and especially to the men of the community. But as Agga soon notices, strange things have been happening since Freya�s arrival. Women are asserting their independence and men are mysteriously keeling over. Is Freya a murderess? A goddess of love? These are questions young Agga would very much like to have answered. THEN SEND IN YOUR NAME AND ADDRESS TO contests@efilmcritic.com. Put "I CAN HEAR THE SEAGULL LAUGHING" in the subject line and cross your fingers. We will draw names and one of the DVD packages from Home Vision will be yours. Only 1 entry per household.